As the seasons start to turn and it gets a bit chillier and the days get a bit shorter, it's easy to lose momentum when it comes to health and fitness goals. Unless you live in a warm climate or have a tropical vacation planned, most Americans hunker down in the colder weather, letting their healthy eating habits go to the wayside while their waistbands start to expand. As we all become a little less active in the unofficial "off season", registered dietician Elizabeth Somer, M.D. has some fun, easy-to-make, and healthy smoothie recipes to share that will help keep you full and motivated all season long. All you need is a perfect blending assistant, which Somer has identified as the Oster® MyBlend® Pro Personal Blender. It's a convenient, quick-fix staple item for any kitchen and will keep you feeling your best by helping you blend your way to everyday wellness. With a reusable drinking straw and spill-proof lid, the Oster® MyBlend® Pro Personal Blender gives the whole family healthy options at their fingertips. Whip up a smoothie to start the day, or enjoy as a mid-morning snack, a meal replacement or after-dinner treat. For almost any smoothie recipe, Elizabeth encourages you to get creative by adding avocado for creaminess, boost the fiber content by including oat bran, or give it an extra nutrient kick by adding a touch of toasted wheat germ, which is rich in vitamins E and K, folate, zinc, and magnesium. Stay slim in the fall with these smoothie recipes. 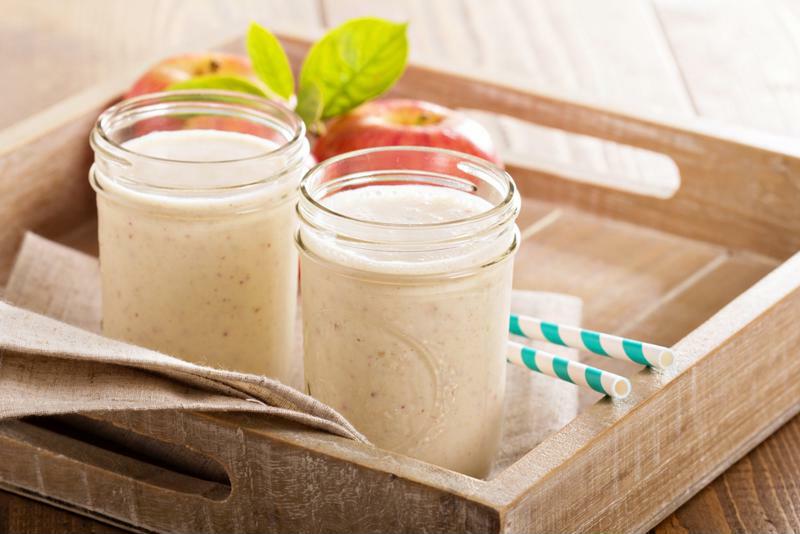 Muscle "Shake It Off…Shake It Off"
Blend all ingredients until smooth and enjoy at home or on-the-go! Having a personal blending assistant has never been easier and before you know it, it will be time to get back to the beach! Elizabeth Somer, M.A., is a registered dietitian who has carved a unique professional niche as a dietitian well-versed in nutrition research. For the past 35 years, she has kept abreast of the current research, packaging that information into her newsletter Nutrition Alert, easy-to-read books, magazine articles, lectures, continuing education seminars, spokesperson projects, and practical news for the media. Get your ice cream fix this summer with these healthy treats. Impress your guests this summer with these creative coleslaw recipes for the barbecue. You can prepare fresh, healthy and delicious lunch meals with minimal time and effort with the Oster® Titanium Infused DuraCeramic™ 12" x 16" Electric Skillet.